Disclaimer: This is not a paid write-up. 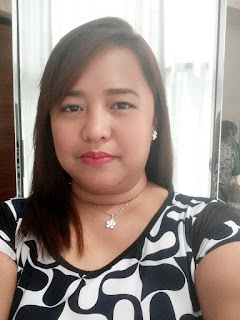 When we were relocated back to Manila in 2006, my first concern was the phone and internet connection that I should have. Never mind cable TV, I'm not a couch potato type of person. It was a relief to know that my husband's company would be providing a phone line with DSL connection for us at totally no cost on our part. (Well, technically... but actually, it was meant for my husband to make no excuses in working from home whenever the need arise.) But we stayed in Makati for only a year and we were blessed to finally buy our own place here in Cainta. The problem with a new subdivision is the lack of communication services. I already experienced this when my family moved to Cainta 12 years ago. Our neighbors had to go to a lot of trouble just to get a PLDT landline. We were lucky because there's PLDT site in my mom's office and the employees' applications were given utmost priority. We got two lines as we made the other line as a pay phone. And boy, how we earned from that pay phone business! We attempted to have our PLDT line to be transferred in our new place but PLDT said that they simply can't. For one, there were less than 20 families living in our village when we moved in last year. They needed more than a hundred so they can provide new phone lines. Also, they said that Cainta is Digitel's territory. I guess that these telecoms have to abide by territorial restrictions. I resolved my internet connection problem by subscribing to Smart BRO. Most people say that it would not be as reliable as our former high-speed DSL connection but it delivered, surprisingly. Still, I had no phone line yet. In my business, a phone line is a necessity. Most clients prefer to call and they bugged me for a landline number to minimize call costs. So out of sheer desperation, I called a Bayantel Wireless agent whose number I saw from a flyer that was just lying around in the "kalat" of my brother's stuff in my parents' house. I called him around noon and the unit was delivered to me in my place of work before 5 o'clock. The agent was even apologetic because of the time it took for him to bring me my unit. It turned out that he was from the SM Manila branch and my brother could have brought the flyer home. I signed some papers, paid him 2000 bucks, made a test call, and went home. It was as fast as buying a mobile phone in Greenhills! It's been a year since we first had our unit and I am happy of the service I have been receiving. There were some service interruptions during the first months but I considered it part of the birth pains that every new service suffers from. I have constantly received text messages on my units of system upgrades and I think that made the signal reception better in our place. One of the advantages on our part on being a Bayantel user is that we get to call our relatives in Naga as often as we want. Tita Ops' phone line is Bayantel too so it's just like calling a local phone without additional charges. Recently, I started to enjoy the 100 pesos consumable amount that we use to make NDD calls that are not Bayantel lines. I use it to make cellphone calls to clients and friends. Every month, we pay 699 pesos for the plan we are subscribed in. My life has never been sweeter here in Cainta because I have my internet and phone line. Both are wireless, yet dependable. Still, the boys, Dadijun and Rap, are still praying for Sky Cable to finally install a line in our village.